Hey there! It's Oriol again! I've been here for nearly two weeks, and today I'll talk about some toys that I used to play with when I was child, and which I think are very helpful and fun for kids. 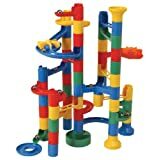 I'll start talking about a game called "Marble Run". You have to build your own marble road like a big castle, and then make marbles come down. Infinite possibilities, great way to learn, and lot of fun for those kids who dream of being architects! 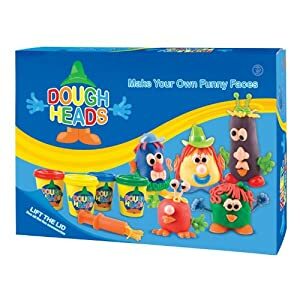 The next one I choose is called "Dough Heads". I think that's one of the best games for children to develop their creative skills just having fun! Just with some dough and plastic accessories they'll be able to create lots of funny characters that could be modified when they want. That game guarantees lot of time of fun with little children, parents and grandparents too! Does your kid want to become a great musician in the future? Does he or she have some talent playing instruments? There's nothing better for them than having their first own instrument! How much fun is to create your own music all the family together or to play their favorite good morning song! Sure they'll love having a xylophone or a flute, and also any drum or trumpet! This toy is designed for those young scientists who want to know and discover new things everyday. It's not just a toy, but as a set of science kits that you have to conduct to finally get a great lab experience from children can learn a lot. 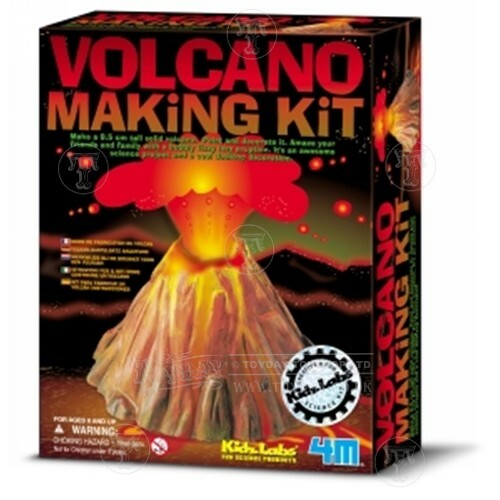 In Toyday we have lots of these kits, related to solar energy, optical illusions or just for simulating a volcano! This is great for passionate people in love with science like me, and I would recommend it all. Last toy I'll talk about is called "diabolo", and it's a kind of juggling game. The goal is to maintain a symmetrical plastic spinning on a thread, and then you can practice lots of tricks using the main plastic piece, the thread and two little sticks used to subject it, as well as you can use your own body to take that game to a higher level!. With some practice, you'll be able to do very spectacular tricks that will be loved for all the people who is watching you. 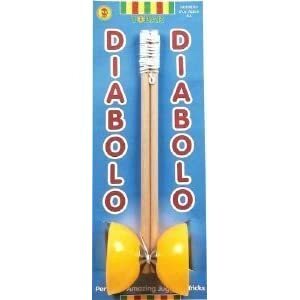 That is a good way to have fun with other people combining more than one "diabolo" or just earn some money playing on streets!